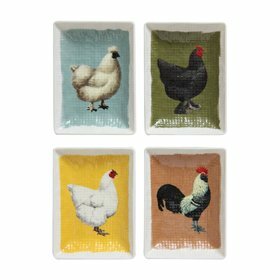 These charming little plates feature four different birds: one rooster and three hens. Each has a distinct color background and is embossed with a woven texture. 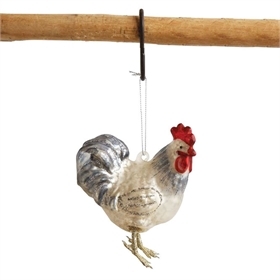 They are ideal for serving, or holding small items like jewelry, keys, etc. These stoneware plates are also food-safe, so they're perfect for serving small appetizers and dipping oil, too. They're even safe for the microwave, oven, and dishwasher! Buy the set for yourself or a friend, or gift them as individual plates and spread the love around.